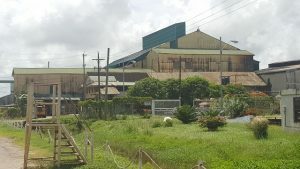 The Guyana government appears to have finalised a deal with the privately-owned Demerara Distillers Limited (DDL) for the restart of the Enmore sugar estate to produce molasses for that company, a high-level government official said Sunday. The Head of the Special Purpose Unit (SPU) of the National Industrial and Commercial Investments Limited (NICIL), Colvin Heath-London said almost 200 workers have been employed at Enmore aimed at starting operations on March 14, 2018. “We are currently trying to start Enmore operations with a co-partner- DDL,” Heath-London told a Town Hall meeting of the People’s National Congress Reform organised by that party’s North American Region. 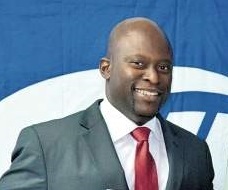 “The DDL will be helping the Special Purpose Unit and the government to restart Enmore to produce molasses,” he added. He added that DDL would help the SPU restart the Enmore Estate at East Coast Demerara to produce molasses aimed at saving the local and Caribbean rum industry. With regards to the Rose Hall-Canje Estate, Heath-London said the factory would not be restarted for the first crop. However, from Saturday, March 3, 2018 more than 197 cane harvesters have been employed to harvest 4,300 hectares of sugar cane at Rose Hall and take it to Albion to also produce molasses for DDL. He noted that since the closure of the several sugar estates in Guyana, the local and Caribbean rum industries were at risk of closure or reduced operations. “With the advent of the closure of three factories in Guyana, it means several alcohol-producing nations in the region are in the jeopardy of either closure or scaling back operations. It is imperative that Guyana leads the way in maintaining stability of rum production and pharmaceutical production in the region,” he said. DDL has already said that while Guyana’s total molasses production from the three estates- Uitvlugt, Blairmont and Albion- is pegged at 52,000 tonnes, there would be an 18,000 tonne shortfall in 2018 to satisfy a projected increase in distillery production by a further 25 percent over 2017. DDL said its initial assessment of its distillery production for 2017 shows that is has surpassed projections, with an increase of 30% over 2016. The Skeldon Factory, he added, was currently undergoing maintenance and would be restarted by March month-end as government seeks to attract a buyer for that property as going concern instead of one that is closed that would have to be sold cheaply. “We cannot sell factories that are not working because you’ll get a salvage price. If the factories are operational you will get an optimum value”, Heath-London said. He reiterated that the plan by the SPU and the United Kingdom-based PriceWaterhouse Coopers is privatise the estates to investors for sugar production only or along with diversified products. Government earlier this year closed the Skeldon, Rose Hall, Enmore operations and allowed the broke Guyana Sugar Corporation to retain Albion, Blairmont and Uitvlugt to produce 147,000 tons of sugar for the local and Caribbean markets.